LIVE OUT LOUD TOUR KICK OFF SHOW IN MONTREAL ON SALE TODAY!! 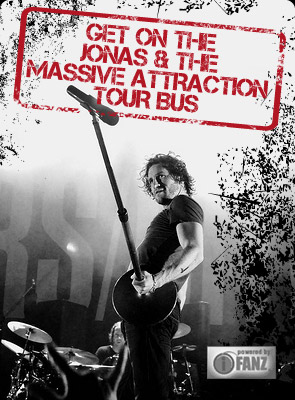 Tickets go on sale TODAY at 10:00 Am (EST) for Jonas & The Massive Attraction’s special LIVE OUT LOUD TOUR 2013 kick off performance for their Quebec fans at L’Astral in Montreal on Saturday, April 27, 2013 at 8:00 Pm. The band begins their LIVE OUT LOUD TOUR 2013 in Europe on May 17 with a month of shows in support of the release of their BRAND NEW album “Live Out Loud”.